Through this career site, you’ll also learn more about our internationally operating company in the world of LED lighting and electronics. For the realisation and assembly of parts and products, RENA has a state-of-the-art production and assembly location. Our in-house engineering department creates diverse solutions for a wide variety of customers. This combination of creation and production under one roof is what makes RENA unique. Whether you are searching for regularity and certainty, challenge and recognition or a great start of your career: for various work fields and levels of education, you’ll find your new job at RENA. To visit the career site, just click this link or the red button ‘vacancies’ in the bar above. For the Dutch version, use this link. We are looking forward to welcome you for a job interview. 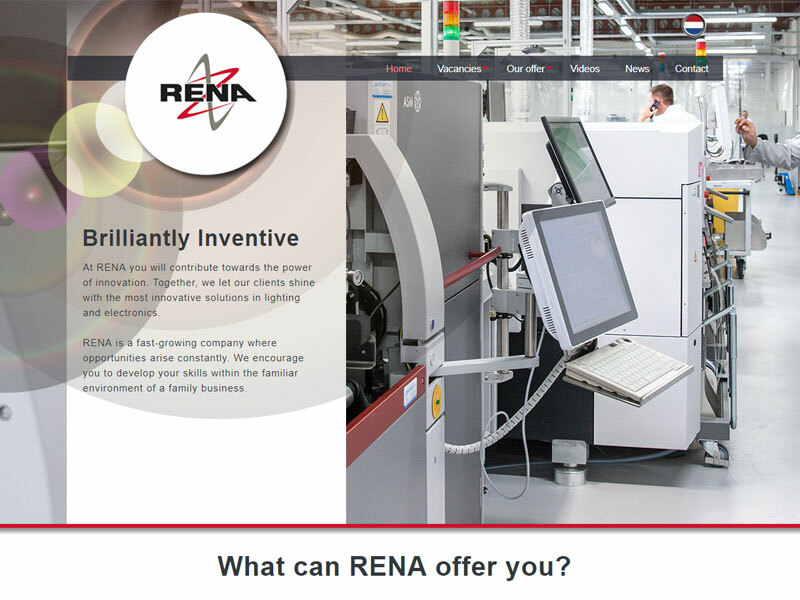 If you have any questions, just contact our HR manager via HR@rena.nl.